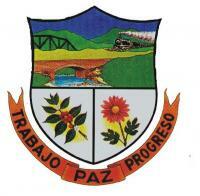 The municipality of Piendamó is in Cauca Department.It was founded on 13 August 1917. The flag of Piendamó is vertically divided green-white-celeste. Translated from municipal website: "The flag of the municipality of Piendamó is rectangular, made of three stripes of equal length, green, white and sky blue, placed vertically. Green is placed at hoist, followed by white and sky blue. Each vertical stripe has a specific meaning. Green symbolizes hope and the vegetation of the region; white symbolizes purity and peace for which we all struggle in our municipality and in our country; sky blue symbolizes our sky and the cloak that covers the patron saint of our municipality, Our Lady of the Rosary." The origin of the rosary has been attributed to a Marian apparition to Saint Dominic in 1208 in the church of Prouille, the first Dominican convent, founded in Languedoc in 1206/1207. More details on the rosary at wikipedia.